Aquis Farm will stand a total of 13 stallions at two stud properties in NSW and Queensland in 2019. The Asian-owned operation has added three new stallions with multiple G1 winner Brave Smash, Santos and the shuttle sire Aclaim joining the Aquis rosters. National Defense, a Group One winning son of Invincible Spirit, will join the Sun Stud roster in Victoria this spring. 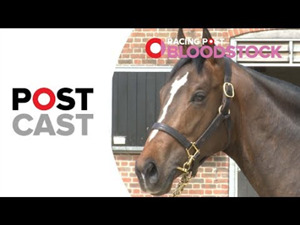 National Defense, currently serving his second season at the Irish National Stud, will stand his first Australian season on a fee of $11,000 (inc GST). Golden Slipper winner Capitalist and dual Group One winner Russian Revolution will be the most expensive sires on the Newgate Farm roster in 2019. The pair will be standing at $55,000 (inc GST) while Deep Field has had his fee doubled to $44,000 after the success of his first crop runners this season. The G2 winner has become one of Australia’s leading stallions, siring 28 individual stakes performers including six G1 winners including the Blue Diamaond and Golden Slipper winners Written By and Capitalist and this year’s Oakleigh Plate winner Booker. The fees reflect the success Darley stallions are enjoying this season on the track and in the sales ring with their sires responsible for 21 G1 winners and 57 Group winners including the G1 winners of the Golden Slipper, Blue Diamond Stakes and ATC Sires’ Produce. Zoustar will stand for $154,000 (inc GST) while multiple G1 winner Trapeze Artist will begin his stud career on a fee of $99,000. Champion sprinter Harry Angel is the latest northern hemisphere star to join the shuttle ranks in Australia. Harry Angel, a son of boom sire Dark Angel, will serve his first Australian season at Darley Kelvinside in NSW in 2019. Cheers from Riverbank Farm, Benalla as Fiscal Fantasy stormed home to an impressive victory in last Friday's Manawatu Breeders Stakes at Awapuni. Blue Diamond Stakes winner Written By will not race again and is to stand at Widden Stud in the spring. 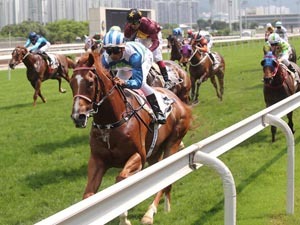 Group One-winning colt Written By has been retired and will stand at Widden Stud in the next breeding season.